If I disable SLI in the Nvidia Control Panel I can start HWinfo without any problems. When HWinfo is running I can re-enable SLI and it shows me the correct data. 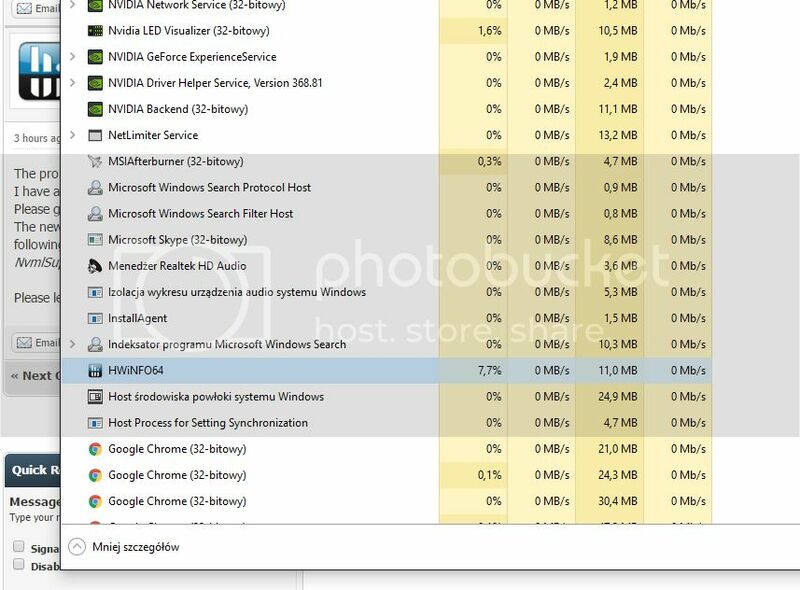 When I restart HWinfo the same problem appears - even after System restart. Will attach my debug file. It seems the problem is inside NVIDIA's drivers, more precisely the NVML library. I think the driver update has broken something there. I'm sorry, but this needs to be fixed by NVIDIA. Thanks for clarifying, had same issue since 368 series. Latest bug free was 365.19 at least for me. Thanks for the feedback. Let's hope NVIDIA will fix this soon. Drivers 368.81 bug is still there. Always when cards are in shown position, HWinfo can't start. Turning off SLI solve it. Tried untick 'Reorder GPUs' in HW Settings no luck. The problem seems to be in the very beginning of NVML (NVIDIA's own library), when trying to initialize it. I have added a workaround so you can use HWiNFO until NVIDIA fixes this. I have to kill it, disable SLI, start HW again then enable SLI. Thats the only way. Let me know should I check any other option, or test it without other apps? Please attach a HWiNFO Debug File created using the new build. If it hangs, please kill it and then grab the DBG file. Also please attach the HWiNFO64.INI that you used - I want to make sure the new option was added correctly. So i've double check it before testing. OK, let you know how stable it is after 1-2 days. Ar first looks like problem solved. Sure Is this known problem for NV, should we raport it on geforce forum? And btw that NvmlSupport relate to my mobo or uefi in any way? I don't know if NVIDIA is aware of it, I haven't reported it. Perhaps it would be good if uses would report the problem, you can best describe your settings which affect it. The problem happens in the nvmlInit() function - it hangs with your configuration.